NatureZone – Now with AC Power Cord! The original just got better! Now with AC adapter option. Still works with 4 AAA Batteries while on the go! Click image to begin ordering direct from Brain-Pad, Inc.
NatureZone is a patented sanitizing & deodorizing chamber that floods the chamber with aggressive Ozone molecules that destroy bacteria hiding deep in oral appliance plastics. 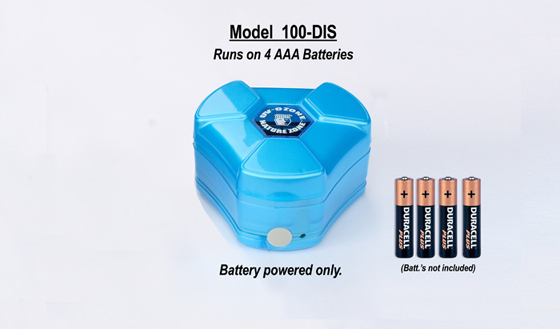 Click image to begin ordering this 100-DIS model, direct from Brain-Pad, Inc.
Stop buying replacement chemicals and tablets. NatureZone offers a push button 3min auto-shut-off cycle, destroys germs and removes germ-created odors and tastes from many hygiene items as well as its primary use – Maintaining oral appliance integrity. Note – Previous NatureZones[model 100-DIS] do not have an AC cord port and cannot accept the AC cord for power. 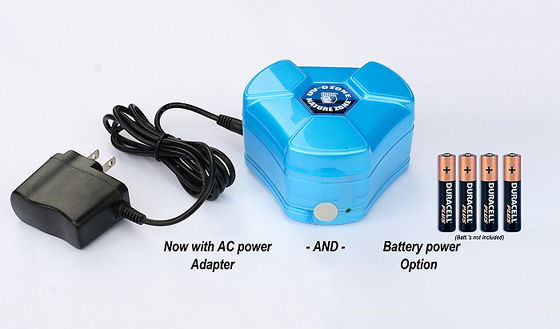 NatureZone model 200-DIS includes the AC Adapter port and the wall-plug-ready power cord.